Bright and stylish bouquet for men of 5 yellow roses, 7 irises, statica in a natural wrapping. 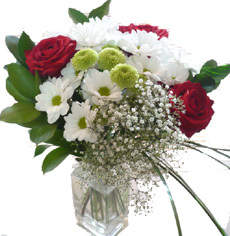 A very gentle amazing flower arrangement in white colours is a elegant choice and a wonderful gift for ladies on special occasions. 9 chrysanthemum, 7 white roses, baby breath dry derocative deatils, bergras with artificial pearls in a gentle white wrapping. An exceptional flower basket with seasonal flowers of different colours is a unforgettable gift that brightens up the day of your friends and beloved. Eustomas, alstromarias, irises, statitsa, roses with many other flowers and greenery. A wonderful basket arrangement with soft coloured flowers is a beautiful gift that will stay fresh long. 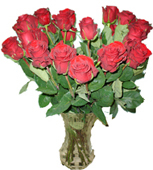 5 yellow roses, 4 pink roses, 5 white alstromerias, 10 carnations, other flowers, greenery in a decorative basket. 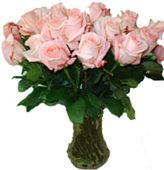 1 bottle of champagne, 3 pink roses, 5 red roses, 3 white roses, 2 white chrysanthemum with greenery in a basket. A creative ceramic vase arrangement with 17 yellow, 3 white roses, 5 alstromerias,apple tree braches and dry orange and apple segments will be a stunning decor for any room or office. A wonderful fan of fresh flowers. 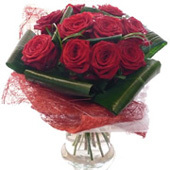 The design of the bouquet is exactly like a fan, that is supported by dry and fresh dracena branches. The arrangement is flat sided and preseves the fan shape. 11 peach roses, 5 chrysanthemum, 3 ghypsophillas, bergras, dracena and the natural decorative fabric with baterflies, tired with bast ribbon. Large flowers arrangement on the start-shaped floral work wrapped in natural fabrics, with colouful sticks, ribbons and batterflies. 7 red gerberas, 25 roses, 6 carnations, greenery.